Job Overview: The Project Manager shall work collaboratively with all sales, account coordination, design, accounting, installation, and warehouse personnel to ensure complete and accurate information and total customer satisfaction. COG PM is also responsible for maintaining positive and productive relationships with all departments, customers, suppliers, vendors, and contractors. The Project Manager shall also successfully achieve quality, cost, and schedule parameters of all assigned projects while providing accurate and timely communication to all participants. Represents Project Management as member of COG Team in proposal presentations to clients when required. Represent Contract Office Group at construction meetings. Initiate interaction with sub-contractors on project. Schedule and conduct pre-install meetings and post installation meetings. Complete field work such as measurement verification and execution of final walk-through. Read and understand installation drawings and construction documents. 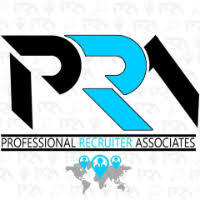 Set up project, beginning with contact through the sales representative or account manager. Create and maintain project binders to include all pertinent project information. Perform specification audit and comparison with order. Develop and manage shipping schedules and installation schedules. Prepare tentative paperwork and schedule installations. Track and document any issues that affect labor budget. Track and document all Manufactures short ships/overages/damages and hoe it could affect labor budgets. Managing and documenting all change orders, FI’s and changes (legal documents). Follow through with all aspects of the project to completion. Accomplish all tasks appropriately assigned or requested. Computer Literate – Working knowledge of MS Office (Project, Word, Excel, Outlook, PowerPoint, and Publisher).